Journey into the Heart of Sikh Dharma is a joint effort of its creator and facilitator, Mata Mandir Kaur, and her support team consisting of Baldev Singh and Gurukarm Kaur. Baldev Singh, Marketing Manager. 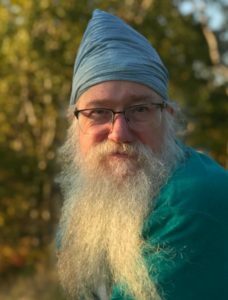 Having taken Journey into the Heart of Sikh Dharma, I found that the course provided me the opportunity to reconnect my true self with the many aspects of Sikh Dharma that I had put aside because work consumed me. 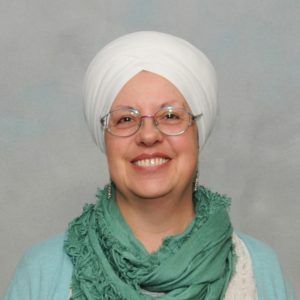 It is my prayer that I can serve Mata Mandir Kaur and this course to help others feel the power of themselves in relation to their connection with Sikh Dharma. I have been actively involved in Ashram living for over 40 years. In my early years I taught yoga in the US and in Europe. Most recently I have been a general manager of a chain of retail stores that I helped grow from 7 to 32 stores over a 12 year period. Some of my strengths are understanding people, how to market a product, and how to develop a business. Gurukarm Kaur, web manager, handles the website of JHSD. Gurukarm Kaur and Mata Mandir Kaur have been friends since living together in the then-ashram in Buffalo NY, and then living and working together in Washington DC in the Golden Temple Conscious Cookery and other businesses owned by the DC sangat. She began learning about HTML, CSS, and other web-related work while employed in the Biology Department at the Massachusetts Institute of Technology. She has been working in this and related arenas since 1998. Gurukarm Kaur has had the privilege of taking the JHSD telecourse twice, and highly recommends the experience to every interested person. Gurukarm Kaur lives with her husband Baldev Singh in the Millis, Massachusetts, sangat, and works as an email marketing specialist for a non-profit Jewish Federation in Boston. Copyright © 2019 | All Rights Reserved, Journey Into the Heart of Sikh Dharma.